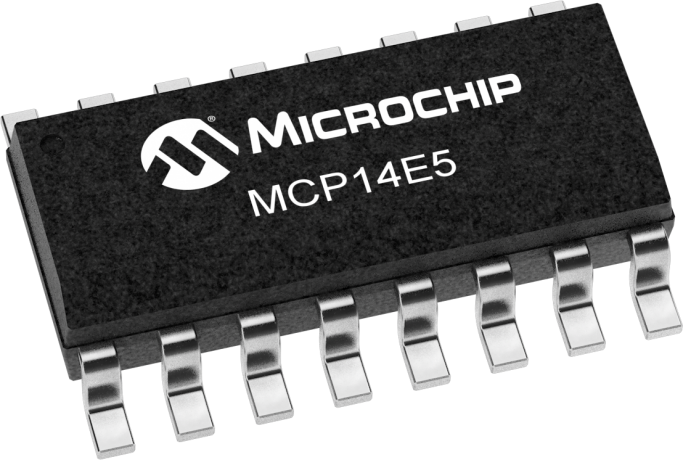 The MCP14E3/E4/E5 devices are a family of 4.0 A, dual output MOSFET drivers with separate enable functions for each output. As MOSFET drivers, the MCP14E3/E4/E5 can charge 2200 pF gate capacitance in under 15 nsec (typical). The inputs are TTL/CMOS compatible, with 300 mV of hysteresis between the high and low input levels, providing noise immunity while allowing the device to be driven from slow rising and falling signals. The MCP14E3 offers dual inverting outputs, the MCP14E4 offers dual non-inverting outputs, and the MCP14E5 offers complimentary outputs.